Are you moving house, renovating or getting rid of a lot of waste? The Ultra Bin Hire & Demolition team are only a phone call away from providing you with a competitive quote, excellent service and an efficient delivery or pick up. 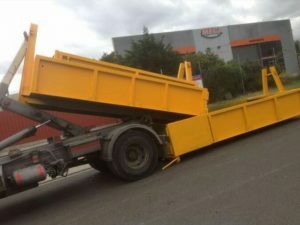 We have a wide range of skips for hire in Melbourne, making it easy for you to hire a skip bin for your project. We also have demolition experts that can take charge of your job quickly and professionally. Our demolition team are highly skilled in operating all machinery needed to complete the job and are passionate about performing at a high standard. As a result, we’re known for providing reliable demolition services for domestic, commercial and industrial sites. As a local independent operator with years of experience and knowledge in waste management and disposal in Melbourne, we can supply an extensive range of bins and skips for hire, with walk-in bins from 3 to 30 cubic metres. We provide our services to all Melbourne locations and operate six days per week. Please do not hesitate to call us to discuss your options if you’re looking to hire a skip bin. Our team is highly trained and experienced in various waste management and demolition situations. Having worked on various diverse and complicated projects, we’re proud to be recognised as one of Melbourne’s leading waste bin hire and demolition providers. Our knowledgeable and hardworking professionals ensure that our services are delivered in the safest and best way for our clients. We strive to deliver a performance that you’re completely satisfied with. The Ultra Bin Hire & Demolition Team has been providing waste disposal services across Melbourne for over 20 years. We know what it takes to get the job done, whether it’s providing skips for hire or assisting with a demolition. And we don’t only just offer skips for hire in Melbourne – we provide you with a team of knowledgeable and professional experts. We can deliver your walk-in bin to your house for a hire of 2 to 3 days and pick the bin back up when it’s filled with waste. A longer hire period can be arranged, plus our team can also assist in the disposal process. At Ultra Bin Hire & Demolition, we understand that it is our duty to consider all of the safety requirements for our customers and make sure that we deliver a hire a skip bin service that is cost-effective, successful and hassle-free. With having worked on lots of projects till date, we can proudly say that we have becomes pioneers of our industry. We are a team of responsible professionals and we understand the importance of safety requirements for our clients and also never overlook the quality requirements expected by them. The Ultra bin hire and Demolition company has been providing waste disposal services across Melbourne and Metropolitan regions with a combined experience of over 20 years. Included in our service is delivery off a walk-in bin, 2-3 day hire, pick-up of bin with waste, longer periods of hire can be arranged. We understand that it is our duty to consider safety requirements for our customers and make sure that we deliver our project which offer cost effective solutions to our clients.